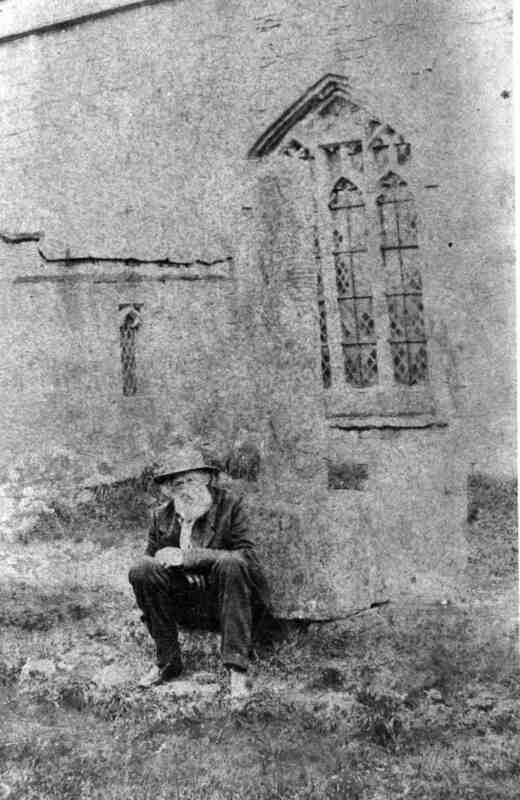 Joseph Hewitt seated in front of the old cross near the porch and window of St Giles Church. Before 1878 alterations. Photo courtesy of V. Hopkinson.